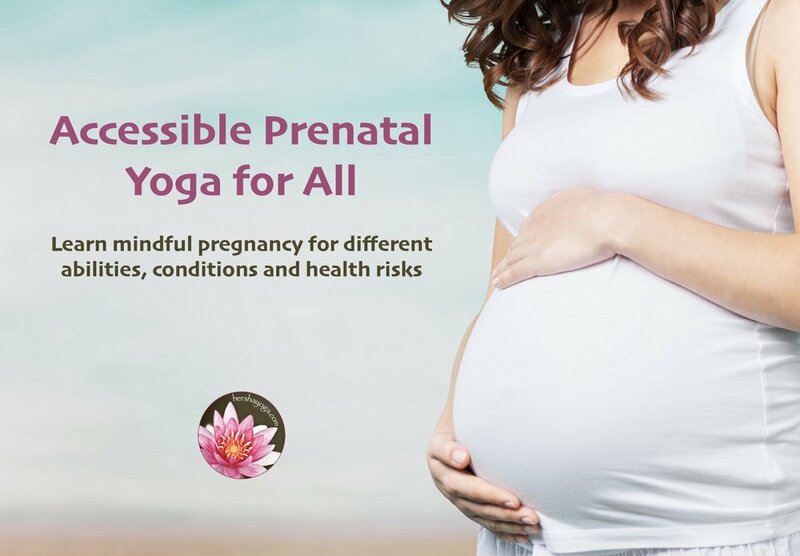 Accessible Prenatal Yoga that is gentle and safe for pregnancies of different abilities, risks and health conditions. When your pregnancy reality is far from your expectations, you can still focus on having a healthy pregnancy. Learn Yoga for pregnancy discomforts, yoga for bed rest, how to use meditation and mindfulness through pregnancy and parenthood and much more.